Prospective parents often rely on friends and family for advice about what kinds of baby products to buy. Despite the advice they receive, what works well for one baby might prove useless for another. Nonetheless, some products win over millions of parents for their portability, adaptability, and above all, for making life with baby just a little easier. The following six products became our household favorites in the first year of our son’s life, and we’re sure they’ll make all the difference for you too! Parents have swaddled their newborns for centuries, although the practice fell out of favor in the United States during the past two hundred years. More and more parents are discovering, however, that rather than cramping a baby, swaddling creates a warm, snug atmosphere akin to their environment during 9 months of gestation. When swaddling a baby it’s important to correctly fold the blanket so it’s not too loose or too tight. Either of which could be dangerous for your baby. 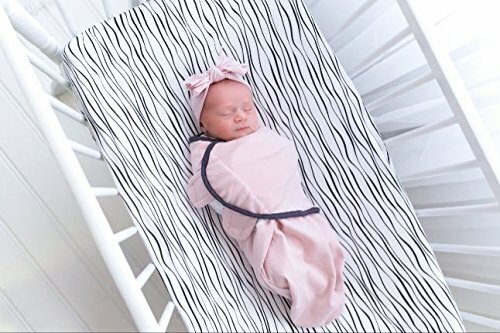 Velcro blankets make swaddling even easier by allowing parents to swaddle without worrying about folding and tucking in the ends correctly. Buy the best velcro swaddling blanket here. A baby carrier is an absolute godsend when you have a new baby in the house. Babies just want to be carried and held constantly during the first 3 months of their lives. Which is partly why this period is nicknamed the ‘fourth trimester’. Having a baby carrier on hand means you’ll still be able to move about and not be confined to the couch! This is important when you have other children, but even with only one, having the ability to go hands-free while fulfilling your babies need to be close is invaluable. Read this guide to identify which baby carrier is best for you and your family. White noise, or static, serves as an invaluable tool for soothing babies and helping them sleep, especially for those parents who subscribe to Harvey Karp’s Happiest Baby on the Block method. Karp suggests using white noise or other monotonous tones to imitate the sounds a baby hears in the womb. He and numerous other experts maintain that babies are not used to silence, so providing a background noise instead of a quiet atmosphere comforts them and helps them adjust to the outside world. A white noise machine (that’s been properly tested for safe noise levels) will allow you to soothe your baby throughout the day and night. 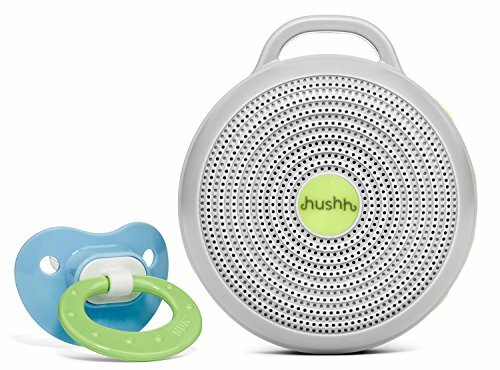 And for those who use white noise regularly, a portable white noise machine offers parents a solution to calming their baby even when they’re away from home. Buy the best portable white noise machine here. Portable cribs, or pack n’ plays, have been popular since their advent in the 1990s, while their precursor, the playpen, first gained popularity in the 1960s. They start around $70 and can cost as much as several hundred dollars. Pack n’ plays allow a place for children to both sleep and play safely. When opened, they create a small enclosed area for babies to play. They are several feet deep, so even children who can walk can’t generally climb out of them. Some come with a flat accessory that “attaches” a few inches from the top that serves as a changing table for babies who aren’t yet mobile. Most large retail stores sell mattresses sized to fit pack n’ plays, so babies can sleep in them as well. They’re especially useful when you’re travelling, as you can be assured your baby has somewhere safe and clean to sleep (no nasty old mattress), and they also have somewhere safe to play if your accommodation isn’t babysafe. Buy a popular Pack n’ Play here. Any parent who has had to change a diaper in a car or public place knows how useful a portable changing pad can really be. Usually made of an easily cleaned synthetic material, portable changing pads are simply thin, foldable pads that protect upholstery from your baby’s diaper contents and conversely your baby’s skin from coming into contact with unsanitary conditions. Portable changing pads often come included with diaper bags, but you can also buy them separately. Some even act as mini diaper bags by having pockets to cart around a spare diaper and wipes! Many stores offer washable, reusable pads which I recommend as the environmentally friendly option over buying disposable changing pads. Buy your versatile portable changing pad here. Welcoming a new baby into your family is an exciting time. But if it’s your first child, it’s normal to be worried about making sure you have all everything you need on hand. With this simple list of 6 must have baby items, you’ll be well prepared for the arrival of your little one! Great list for new parents. Thanks for sharing at Merry Monday. I totally agree that a baby wearing solution is one of the best ways to stay sane with a newborn. I think it helps them develop muscle tone faster too, by having to adjust slightly to the adult’s walking rhythm. I loved my baby carrier with my first, and I hope to use it again. Great ideas! I’m not sure about the velcro one only because of the itchiness of velcro and it can scratch a baby, but I do like the idea that the blanket, once wrapped, stays put!